What do you do for eToro and what are you responsible for? "As Vice President of Engineering, I oversee eToro's Research & Development, as well as its technical operations. My organization's goal is to deliver the most innovative financial trading experience and solutions to our worldwide customers while maintaining highest engineering standards. Running the world's largest financial investment network is a great responsibility." Who is the typical user of your service? "Our target audience is pretty much everybody, traders of every level, from absolute beginners to seasoned pros. 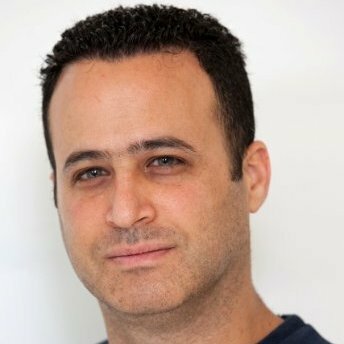 We've designed eToro to be flexible enough to offer unique value to every level of trader." What makes eToro different from online trading systems offered by traditional banks and financial operators ? "The eToro platform is focused on opening up online financial trading (currencies, ETFs, commodities, indices and Stock CFDs) to everyone in a simple, transparent and enjoyable manner. For that reason we are a very democratic provider of financial trading – open to traders looking to invest relatively small amounts, just as we are open to traders who are seeking to invest a million Euro. Furthermore, traditional banking offers a pretty lonely trading experience, where key to success is always held secret. We defy this model by offering the social trading experience, where nothing is secret and traders can harness the wisdom of the crowd to their own favor. eToro offers unlimited free practice accounts to allow new traders to experiment without risks." 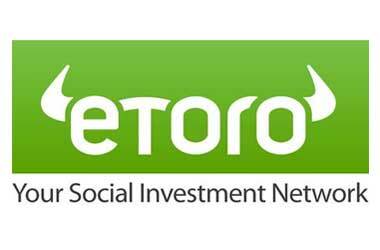 eToro recently changed, and it sports an even more brilliant user interface. What is under the hood? "We've recently launched the new eToro, our cutting edge, fully responsive HTML5 platform available on www.etoro.com. Together with our mobile applications (available for iOS and Android), we offer a state-of-the-art unique experience, that empowers our users to trade the global markets wherever they are. The experience combines social tools and trading tools, enabling the audience to engage with finance the same way they engage with any social network." Online trading applications are quite demanding from a performance and scalability point of view. Which technologies and infrastructures have been chosen to guarantee a harmonic development of the platform, given that eToro allows practice accounts, thus a higher number of concurrent users compared to a ‘standard’ online trading platform? "We've partnered with Microsoft and built a pretty complex hybrid cloud architecture that facilitates the Microsoft Azure platform as well as several self-operated geo-distributed facilities. Services requiring elasticity and customer geo-affinity are running across multiple Microsoft Azure regions, they grow and shrink to match the customer's demand. Our price feed is a classic example for such implementation. Legacy, more conservative services are operated from our own managed premises." "We use Lightstreamer for cross platform, high speed messaging, including rates and operational messages. All our server-to-client high-frequency message streams are handled by Lightstreamer. The most obvious example is all price ticks, which is one of the biggest challenges for every trading application." Simplicity for users means implementation complexity. Was Lightstreamer useful to tame it? 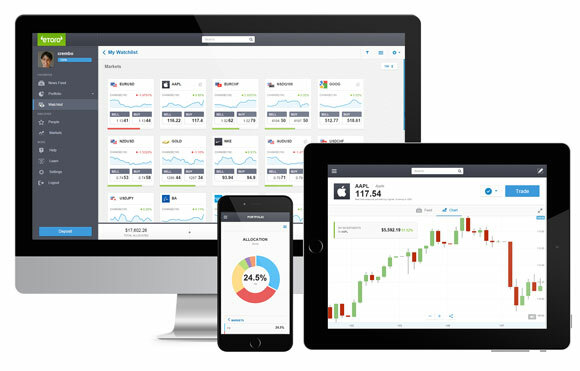 "eToro's client solution is available on web, iOS and Android. Lightstreamer allowed us to maintain a similar solution across all supported platforms." Do you remember how you or your organization first heard about Lightstreamer? "Lightstreamer is well known within our industry. Choosing Lightstreamer was a no-brainer for us." What about your development roadmap? Are you planning to integrate Lightstreamer for other eToro features/projects in the next future? "We're strongly considering using Lightstreamer for online social feed notifications." "We had an extremely positive experience working with Lightstreamer. My biggest compliment would be that the product simply works and delivers on its promise. The Lightstreamer support staff is very professional and responsive. They were a great contribution in both helping us design the best integration model as well as helping us troubleshoot challenges. As Lightstreamer is pivotal in our overall offering, the Lightstreamer support team was a key factor in our success."